I've got another 'brand focus' style posts today about one of my favourite drugstore brands for hair styling products. 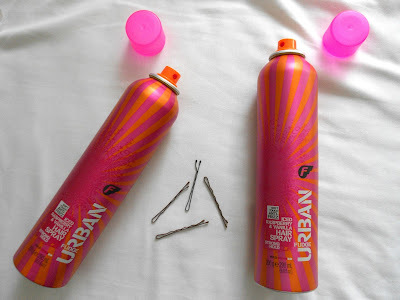 I've been using Fudge Urban products since I first discovered their sea salt spray around 2 years ago now, and this still remains to be one of my favourite texturising sprays out there! I've obviously not tried all of the products which they offer, but I have tried a fair few and loved them all, so I thought I'd share them with you. My favourite of all the FU products and my favourite hairspray of all time has to be this 'iced raspberry & vanilla' one. It smells incredible (all of the products from this range do really!) and it's the perfect amount of hold that I love for everyday use. It's marked as a 'strong' hold, given a 4 out of 6 rating of strength, and is said to have both 'soft touch' and 'anti-frizz' properties. I use this daily no matter what hairstyle I'm going for (unless I need a stronger hold) and I honestly couldn't recommend this enough! Another favourite of mine from FU is the sea salt spray which, as I mentioned, is the first product of theirs which I ever tried. I've not got any at the moment as I'm trying out some different texturising sprays, but I'll definitely repurchase it at some point. It's such a good budget sea salt spray and works great at adding volume and life to my natural hair. The 'iced raspberry & vanilla styling mousse' is basically everything you could want from hair mousse! It's perfect for just-washed ready-to-go hair and with a strong hold, heat protector and anti-frizz properties along with the dreamy scent - what more can you ask for? 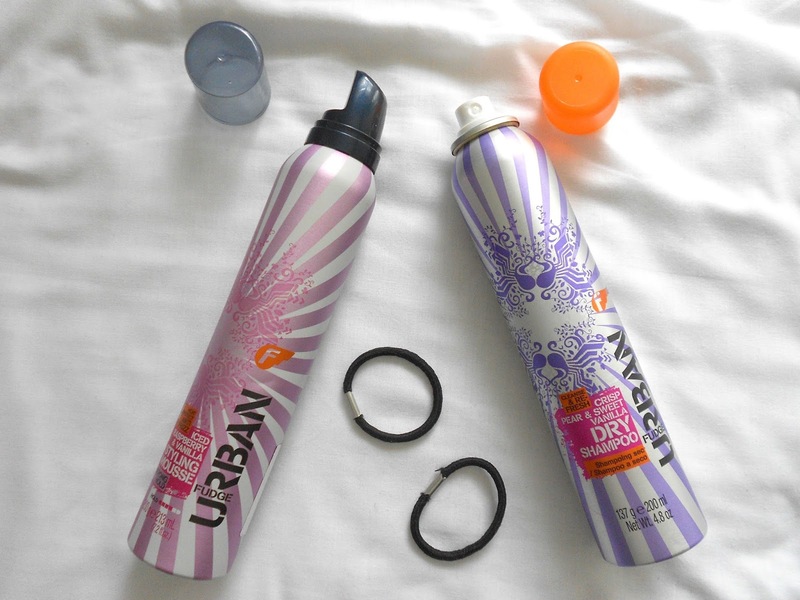 Dry shampoo's are something I've had a love/hate relationship with a long time. They often leave my hair feeling gross and cakey, with a white dusting that just won't go, but after trying different brands I've now found one perfect for me! This is 'crisp pear & sweet vanilla' scented which is a dream, and as it claims, it really does 'cleanse & refresh' the hair perfectly. When my hair was a lot longer it used to be really frizzy/fly-away and generally quite hard to manage. It's a lot better now that it's shorter but this 'iced tropical cocktail miracle ends' worked so well at taming it. As it says, it 'smooth conditions & seals' but just be careful not to use too much, and don't use it near the roots or it'll look greasy! If I style my hair in a nice updo or braids, I like a stronger hold hairspray and this 'iced coconut cocktail' scented spray is ideal for that! It's a super concentrated hold (rated 5/6) and holds my hair up for ages without it feeling crispy and hard like a lot do! 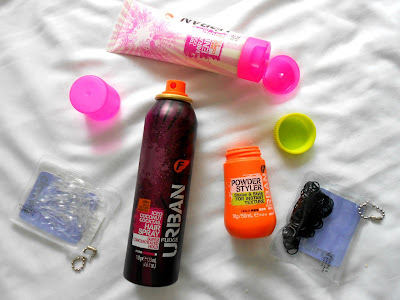 The powder styler is perhaps my least favourite product I've tried from Fudge Urban. It's somewhat similar to dry shampoo, but more like hairspray in a powder form. Sprinkling it into the roots adds volume to your hair, but I've found it quite drying and I don't really like the texture which it leaves. These hair chalks are so good, particularly for summer/festival hair! 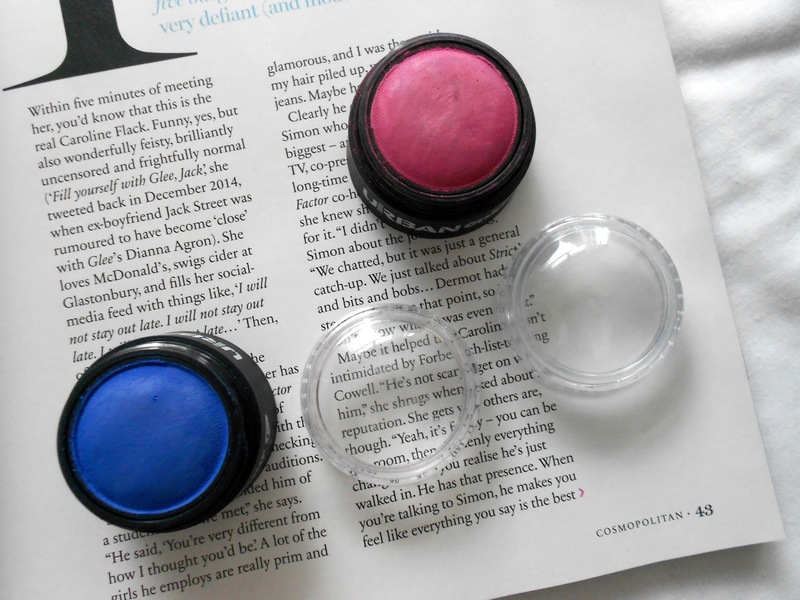 I've got the colours 'electric blue' and 'festival pink' but they also do purple and white colours! I've used these numerous times to add a little something extra to my hair, and they're super easy to rub in and to wash out! They now do a new range of spray-in hair art which would be good to try too. 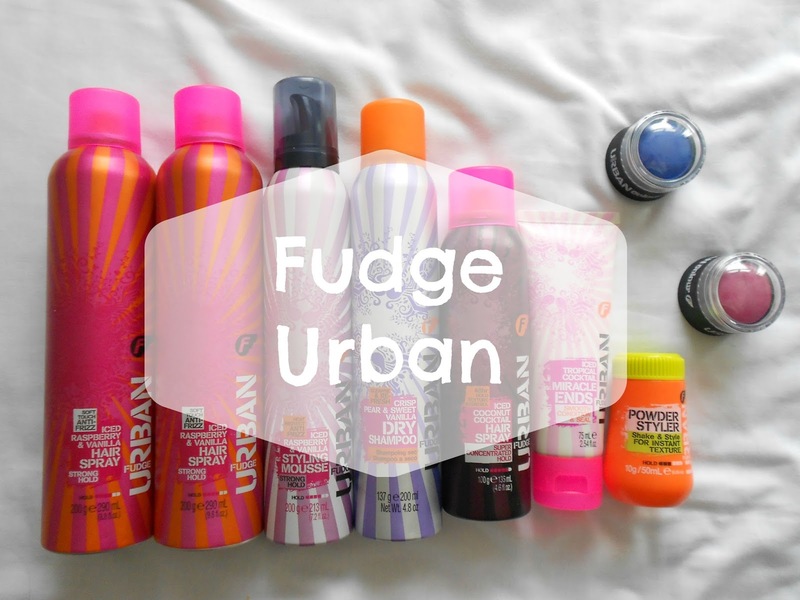 Have you tried any Fudge Urban products? Any favourites?